A residential front and back garden in the London suburb of Walthamstow. The back garden slopes away from the house so a retaining wall had to be incorporated into the design to create a level dining terrace. The terrace is furnished with a bespoke steel hairpin leg table and built in western red cedar bench. 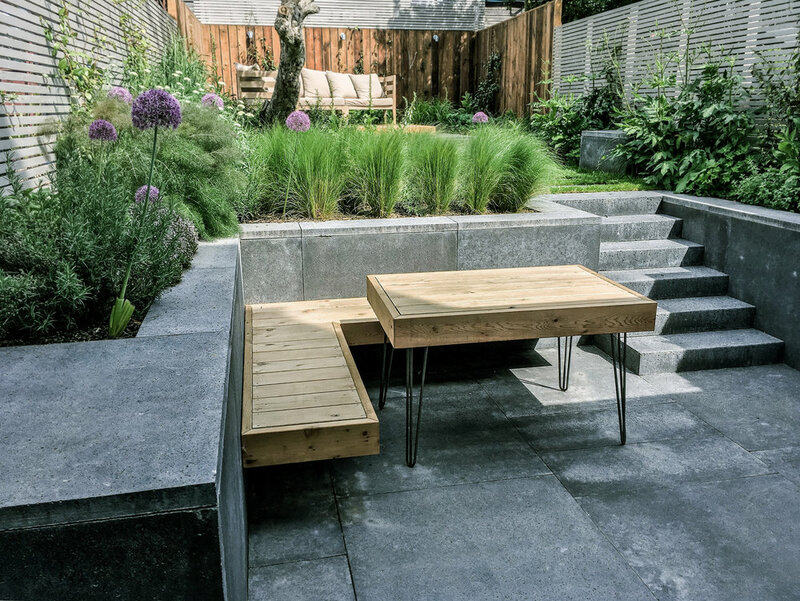 Schellevis anthracite paving and cladding to the retaining wall gives the garden a modern and industrial feel. Slatted timber boundary screens provide privacy whilst allowing light into the space. At the back of the garden a western red cedar deck floats out over lush planting, creating an outdoor lounge area, sheltered by the canopy of a mature apple tree. 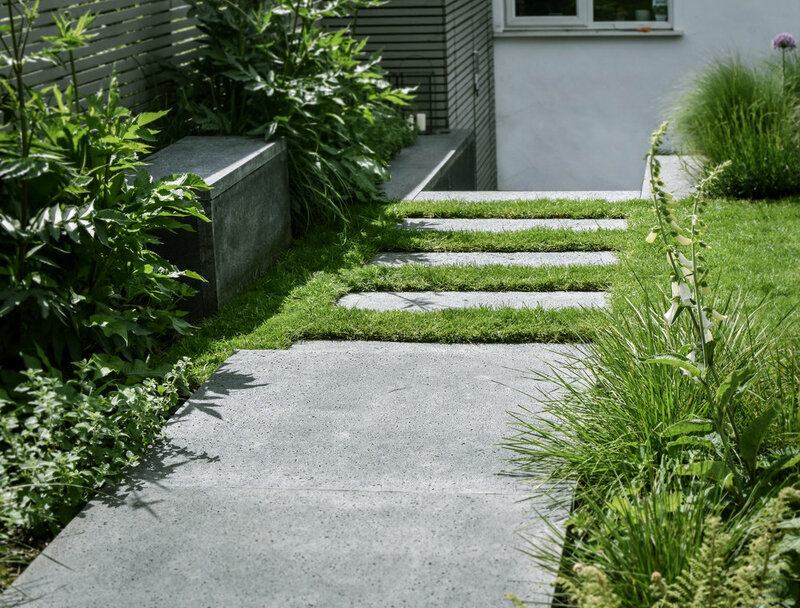 The same materials were used in the front garden to create a visual link between the two spaces. The garden was completed in October 2016 and photographed the following May.